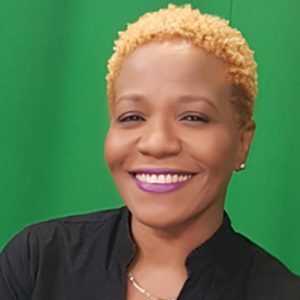 Donna P. Hope (BA- UWI, MPhil.- UWI, PhD – George Mason) is Professor of Culture, Gender and Society at the University of the West Indies, Mona Campus, Jamaica and Founder of the Dancehall Archive and Research Initiative. She is the former Director of the Institute of Caribbean Studies (2012-2015), and was the Program Chair of the inaugural Global Reggae Conference in 2008, subsequently organizing and chairing International Reggae Conferences at the University of the West Indies, Mona in 2010, 2013 and 2015. Over the last two decades, her research and analysis on popular culture, gender, culture and music has resulted in over forty publications, including four books. Inna di Dancehall, Popular Culture and the Politics of Identity in Jamaica (2006); Man Vibes: Masculinities in the Jamaican Dancehall (2010); International Reggae: Current and Future Trends in Jamaican Popular Music (2013); and Reggae from Yaad: Traditional and Emerging Themes in Jamaican Popular Music (2015). A passionate advocate and sought-after speaker, Professor Hope has engaged in multiple academic and popular discussions on gender, politics, Caribbean popular culture, creative industries and music, in the print and electronic media in the USA, UK, Europe, Latin and South America, and the Caribbean. Professor Hope’s key areas of research include popular culture and music, dancehall culture, youth development, black masculinities, black popular culture, cultural/creative industries, media and communication, gender, identity, and power. During her 2017-18 Research Fellowship from the University of the West Indies, she examined the global spread of Jamaican popular culture in Europe, Latin and South America and related spaces; and analysed the creation of glocal identity-spaces under the title Dancehall’s Scattered Children. She is currently finalizing the manuscript for this work. Her fifth book, ReggaeStories: Jamaican Musical Legends and Cultural Legacies, is forthcoming in 2018 from the University of the West Indies Press. Professor Hope continues to work with creators of Jamaican Popular Culture, in particular Dancehall Culture, and sees the Dancehall Archive and Research Initiative as a critical step forward in recognizing the contribution of creators from Jamaica’s most marginalized spaces to the narratives of life and the legacies of culture and popular music globally.